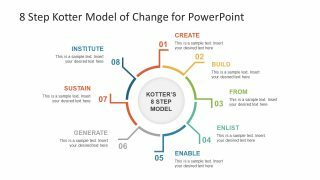 The 8 Step Kotter Model of Change PowerPoint Template is an effective tool for project management presentations. 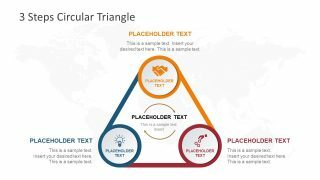 The PowerPoint template of three slides demonstrates three versions of 8 step Kotter model. 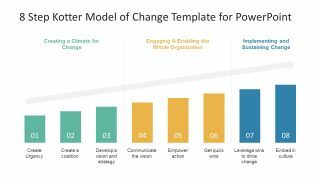 There are many models and theories for change management with their own advantages and disadvantages. However, the purpose of each methodology is to implement the transition which benefits the organization. 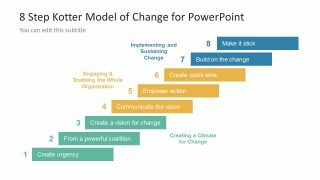 Also, helps understand the impact of change and ensuring a smooth transition. 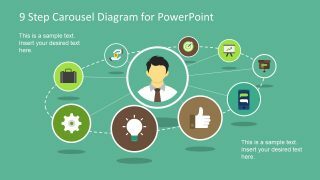 Further, this PowerPoint presentation of 8 step Kotter Model displays bar chart style diagram. It shows sub processes of three main processes i.e. 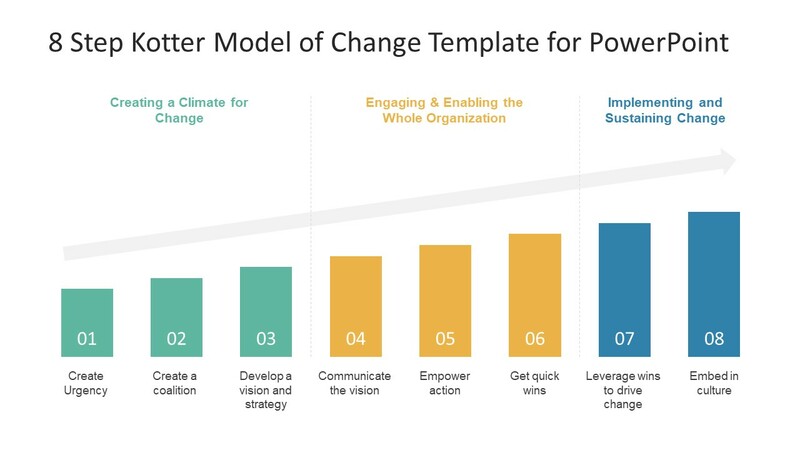 create, engage and implement the change. The diagram uses colors and dotted lives for division. 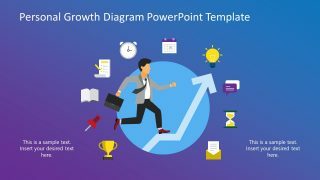 The translucent arrow moving un upwards direction explains the direction of achieving processes. 8. Institute: Lastly, communicating the importance of keeping up with change to all employees and show transparency in the processes. 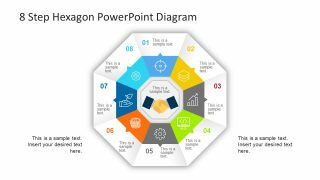 The PowerPoint template of change model has an incredible 3 slides is ideal for delivering change management presentation. Moreover, with the life on fast lane and rapid development of new technology, the change has become inevitable. Therefore, the companies which do not adapt to the timely change may not be able to sustain a market in future.